For the love of Luna! Several weeks ago I got a call from the local humane society that there were two female Chihuahuas at the shelter that needed a foster home. Bret and I had recently fostered two other Chihuahuas and had a great time with both of them (both found new homes quite quickly). 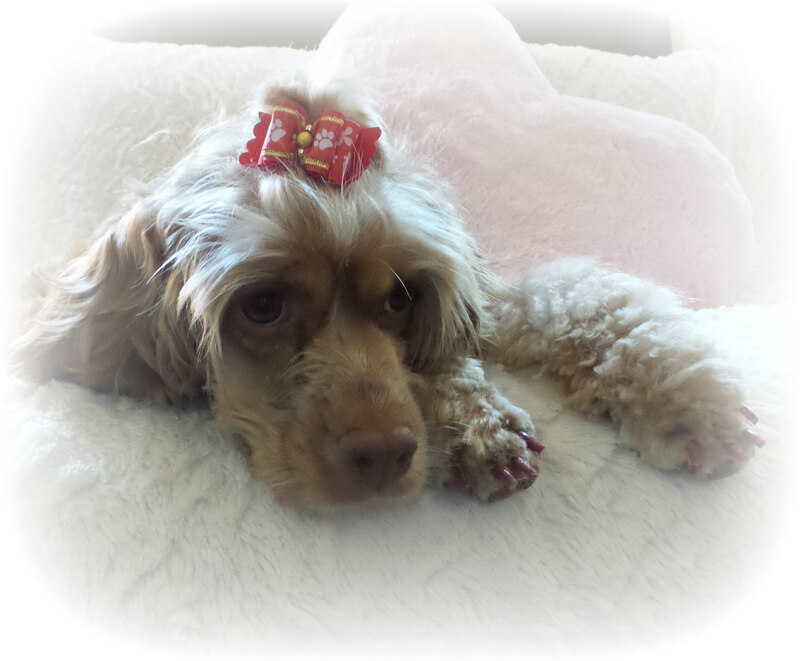 When I arrived at the shelter to get them…the shelter was full…loud and chaotic…stressed out dogs barking. The shelter staff took me to a kennel at the very end…it looked empty. She lifted the large dog bed up and there I saw the two little girls huddled together; shaking and hiding under the bed. 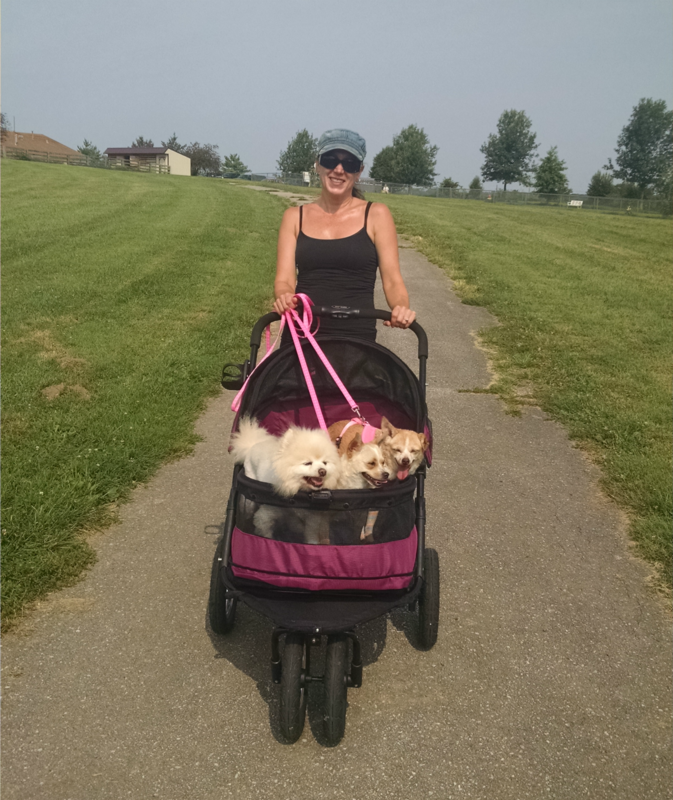 She moved fast and put them in a carrier. I left fast. I hate being in the shelter. I had barely gotten a look at either dog. When I arrived at home with the dogs Bret met me in the yard and we opened the carrier and let them out. The younger dog came out first; timid but she looked like a young and healthy dog. Then Luna came out. She had a really bad limp, a permanently crumpled up ear, a hunched back, a few really rotten and smelly teeth and a clearly broken tail. We were INSTANTLY in love with her. We kept the normal routine of fostering for a few weeks…figuring we had to at least give a fair shake to her chance at adoption. 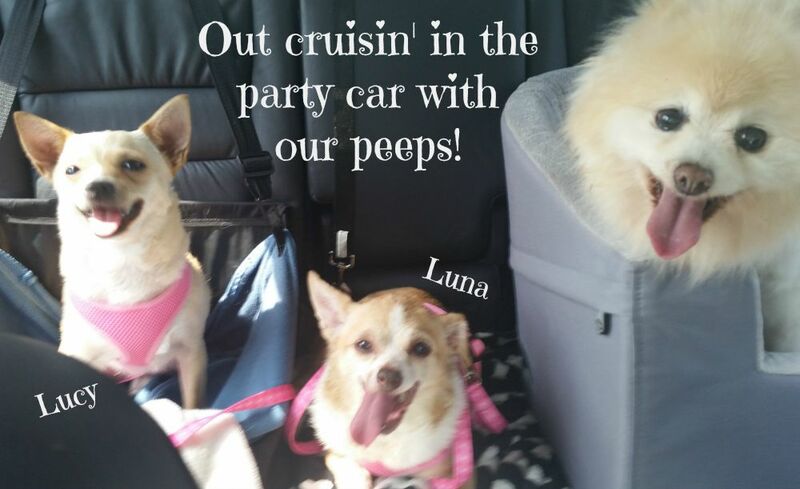 But we quickly failed miserably…we made Luna ours forever. 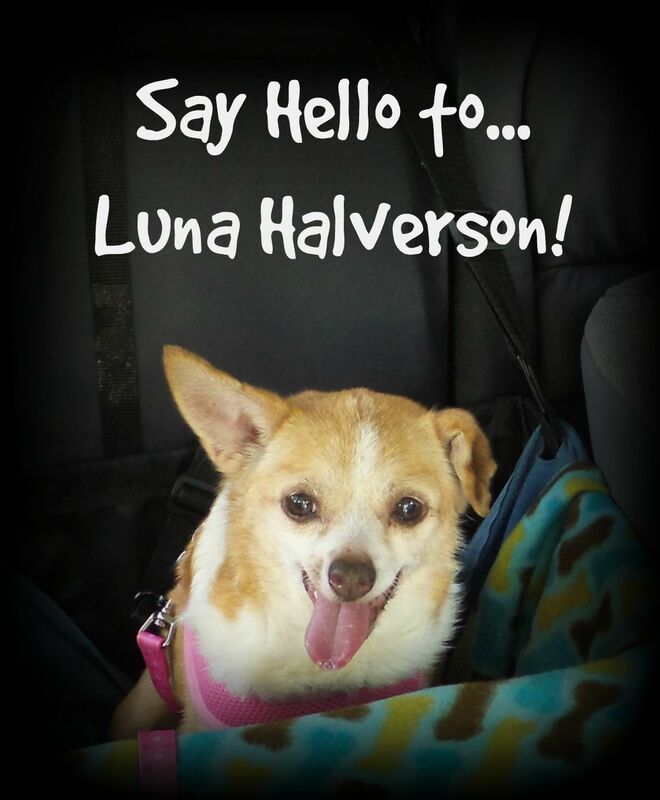 We know nothing of Luna’s history nor why she ended up at the shelter. She has an agreeable personality as long as there is not a lot of commotion around her and she is perfectly potty trained. I suspect someone loved her a lot and somewhere along the way something tragic happened to cause her injuries…but who knows. We took her for a wellness check right after we adopted her. The vet believes she is around 12 years old…he confirmed all the old injuries we suspected and pulled out her last little snaggle tooth. (She is totally toothless now). 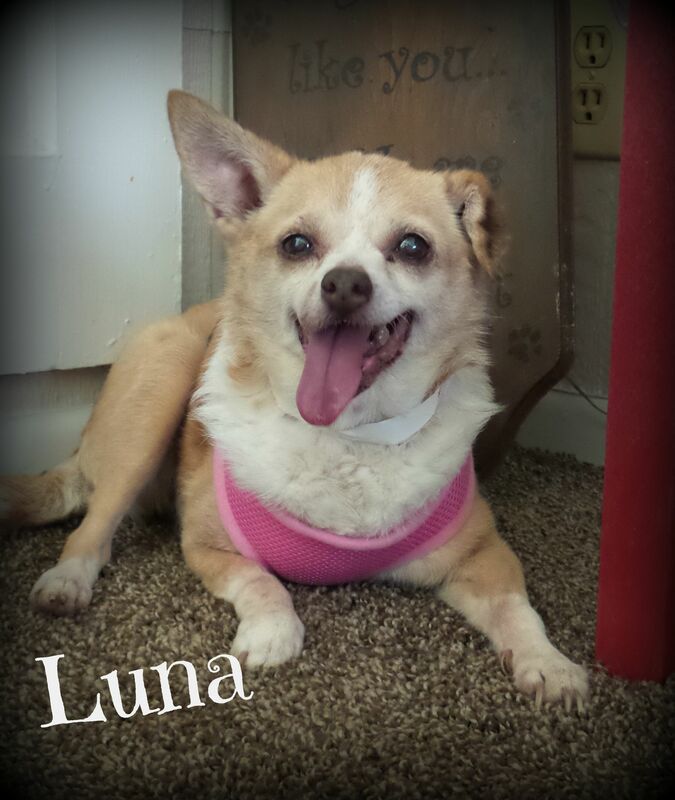 Luna is deaf and has cataracts dimming her vision. She has an amazing attitude. I am of the belief that each dog has come in to our lives exactly when they are supposed to. I don’t pretend to know why some steal our hearts and others don’t…but Luna was love at first sight. 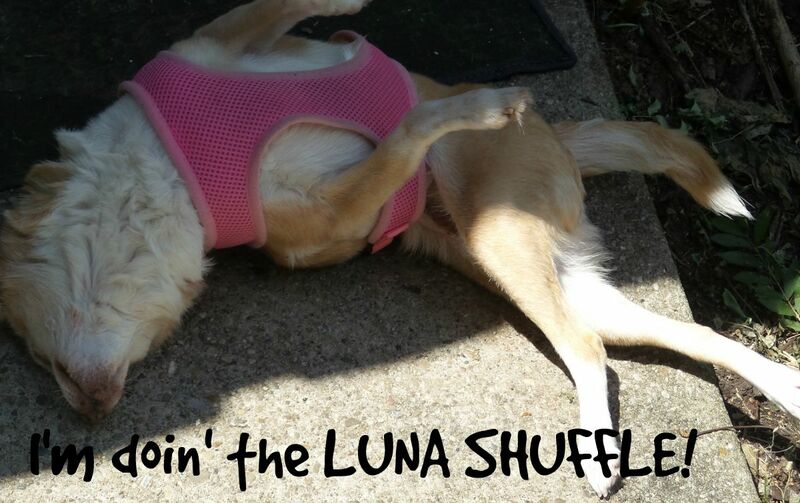 Despite her obvious physical issues…Luna has great enthusiasm. She is curious, adventurous (to a fault), always up for a car ride…and wants to hang out with me wherever I am. She is also accepting…of the other animals, of bed time in her crate and of living with joy despite her obvious challenges. We love her spirit…her excitement. When we arrive home after being gone for even a short while Luna comes to life…jumping up and down, squealing and rolling on her back with her legs in the air. All dogs get excited…but when they show joy in the face of the physical challenges that Luna has…with such enthusiasm…it melts our hearts. Luna can walk around fine on her own but she has a pretty bad limp and clearly has pain in her right leg (a broken leg that did not heal properly). I added her to my routine of wagon riding with Kringles at the park. The two are great wagon mates…they truly seem to enjoy each other’s mellow company. Luna barks at all the big dogs walking by…so funny. Luna stands in the front of the wagon the whole walk….wind blowing in her hair…the chance for her to cruise around and sight see without having to use her own broken body to get around…it is really something to see. The daily wagon rides with her and Kringles are always the highlight of my day. I no longer feel the need to justify why I feel the way I do about certain things…I used to…but maybe I am finally old enough to trust my instincts. For some odd reason…when I met Luna I was able to feel Sparky again. 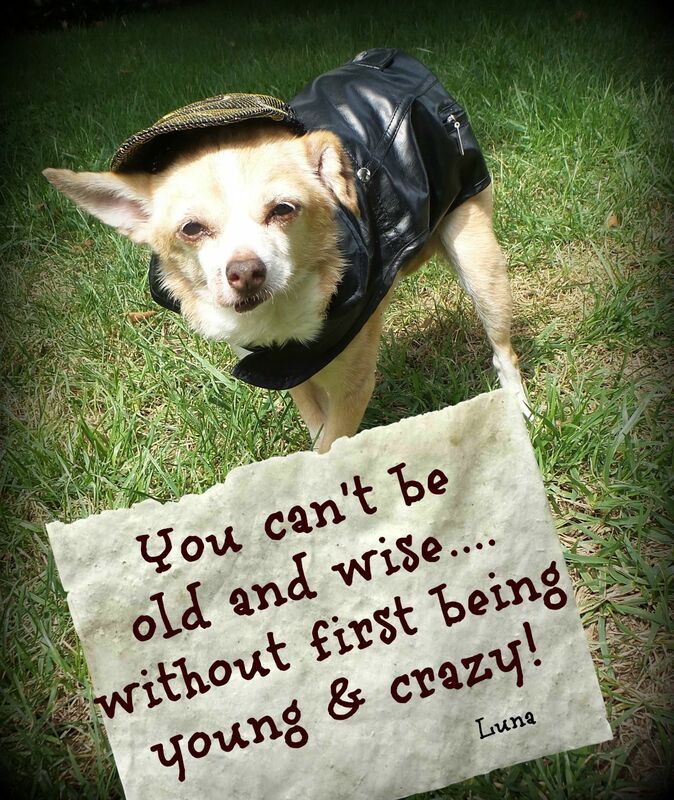 I love all my dogs…but caring for Sparky as he aged was such an honor…I loved every minute of it…it was the only time that I felt I was giving back anywhere near the love he had given me. Luna brings back that sense of satisfaction and purpose…and I love it. I hope we have Luna with us for many years…but I am also realistic about how long her life with us will be. For now…what a joy to have the honor of being part of her life. 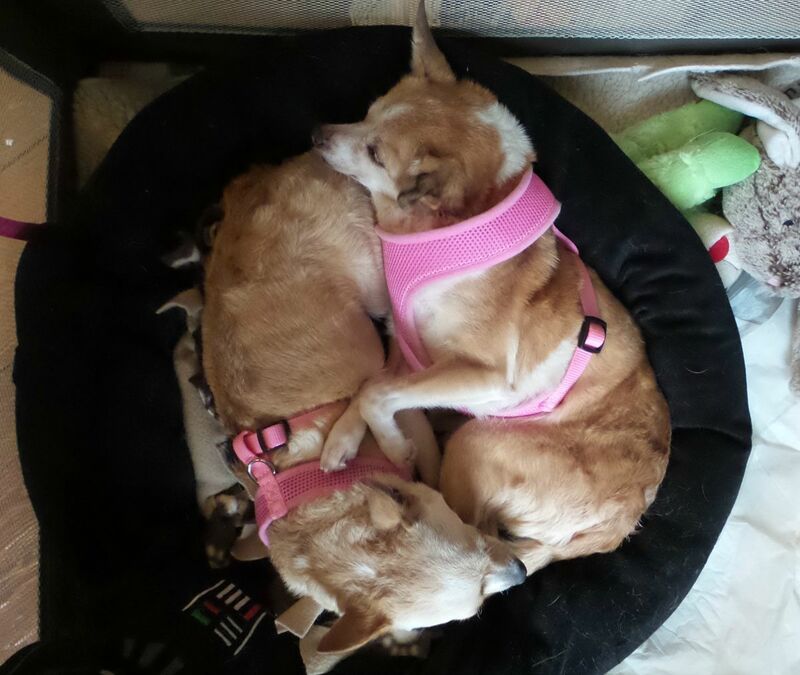 We also adopted her shelter mate…Lucy…while they weren’t bonded to a point that they couldn’t be adopted separately…as you can see in this picture…we did not want to break them apart. I don’t know if they are related…perhaps Luna is Lucy’s mother. Lucy is less than 2 years old. I will write about Lucy soon…she is wild and a complete delight! She is Bret’s dog…through and through. Life at Misfit Manor has been busy…our first vacation rental property is doing well…Bret can work from home now and on Friday we are closing on three more rental units….very exciting (and scarey). In the meantime…we continue our daily routine in our little slice of heaven that we call Misfit Manor…just a bunch of connected souls on the great and messy journey we call life. 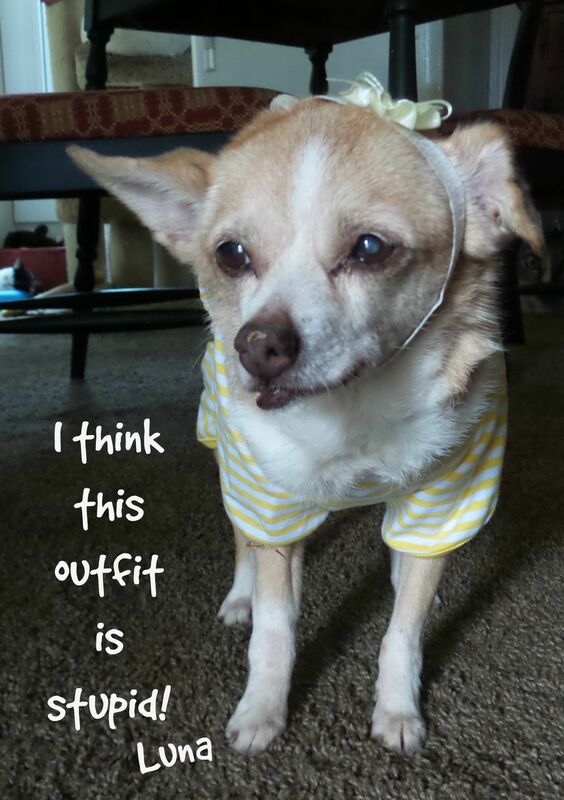 Previous postThe Buster Contest…what breed of dog am I? Next postWinners of the Buster breed contest!